To day we made a turn into the Mountains of the South of France to begin and exploration of the role of Minimum Income in rural areas. Issues to do with migration of local population to the big cities in the region and the subsequent loss of talent to the area was of course mentioned. However an aspect that is less well known was the return of people to the area because they cant afford to live in the big cities. However they return for cheaper and often poorer quality accommodation but then just have the money for survival and not for living and become increasingly isolated in these small communities. This highlights that inadequate minimum income schemes trap people in a vicious inter-generational cycle of poverty. It is only adequate income schemes that can provide a spring board to new opportunities. The issue of the high level of non-take-up due to the stigma which is acutely felt in small communities was also highlighted. Integrated service provision that prevents people having to tell their story in several settings was seen as one way to overcome this problem. Creating a new image for Minimum Income Schemes, not as schemes for ‘poor people’ but as schemes for anyone who needs them, when they need them, would also help. Against this background you had the local organisers ‘the organisation of rural families’ working to counteract stigma, working to build local social enterprises and to create dynamic development in this area of natural beauty and rich cultural heritage. We had the pleasure to enjoy the benefits of this work by tasting locally produced products. We were also reminded that if we want to build social Europe, it will not only be a Europe of the capitals but must be a Europe that has balanced rural and urban development. The questions was asked as to the extent to which European Funds are really used to foster social and sustainable development?. 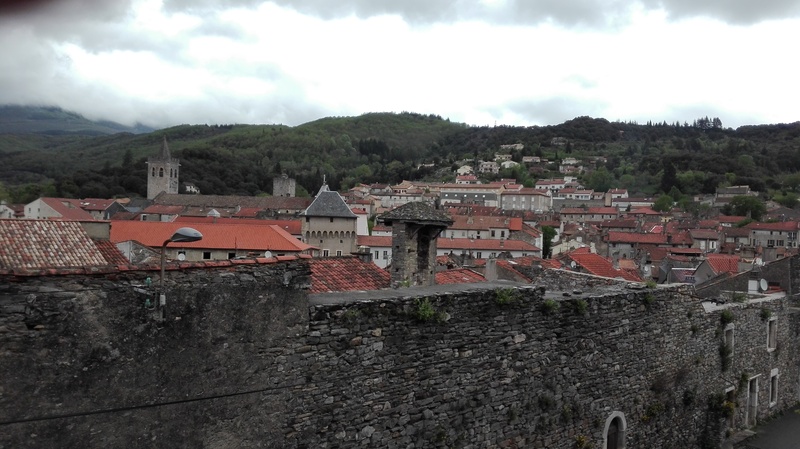 Saint Pons de Thomieres, the town where we were hosted has the distinction of having produced two Popes. May be, that is a symbol of the talent that is in rural communities that Europe can’t afford to loose.